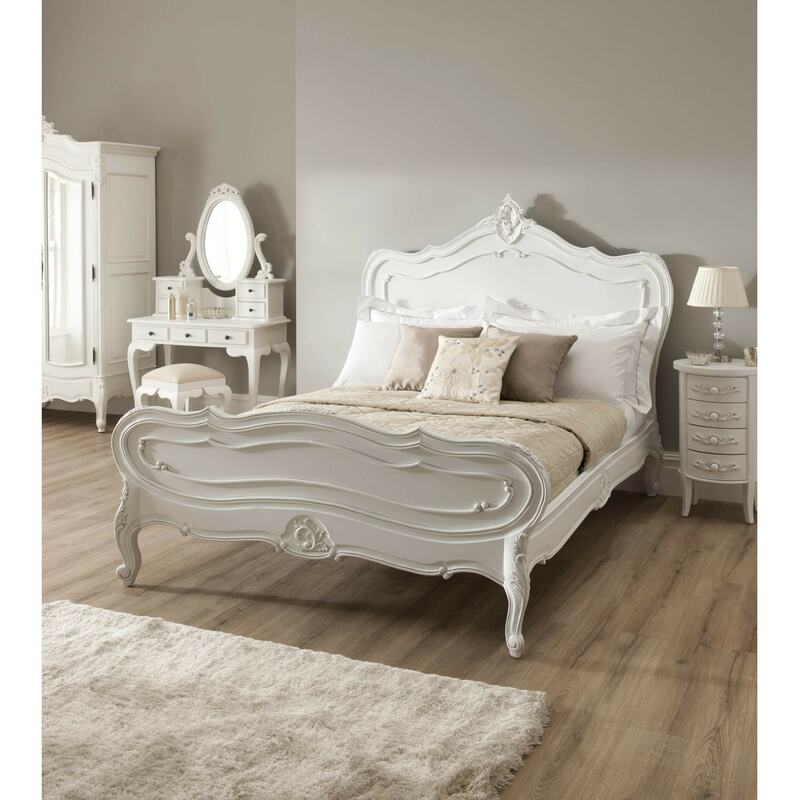 La Rochelle Antique French Bed hand carved, in a stunning antique white finish. Invite a touch of antique french elegance into your home with this Antique French Bed from our award-winning antique french painted bedroom collection. This Antique French Bed has an exquisite antique french finish, delicate wood carvings in Hand Carved Mahogany, smooth curves you can achieve that french boudoir look. La Rochelle Antique French 1 Door Wardrobe hand carved, in a stunning antique white finish. Invite a touch of antique french elegance into your home with this Antique French Wardrobe from our award-winning antique french painted bedroom collection. This Antique French Wardrobe has an exquisite antique french finish, delicate wood carvings in Hand Carved Mahogany, smooth curves you can achieve that french boudoir look. Inside it has one hanging rail, two adjustable shelves and one drawer. La Rochelle Antique French Bedside hand carved, in a stunning antique white finish. Invite a touch of antique french elegance into your home with this Antique French Bedside from our award-winning antique french painted bedroom collection. This Antique French Bedside has an exquisite antique french finish, delicate wood carvings in Hand Carved Mahogany, and smooth curves so you can achieve that French boudoir look. La Rochelle Antique French Chest hand carved, in a stunning antique white finish. Invite a touch of antique french elegance into your home with this Antique French Chest from our award-winning antique french painted bedroom collection. This Antique French Chest has an exquisite antique french finish, delicate wood carvings in Hand Carved Mahogany, smooth curves you can achieve that french boudoir look. La Rochelle Antique French Dressing Table (Small) hand carved, in a stunning antique white finish. Invite a touch of antique french elegance into your home with this Antique French French Dressing Table from our award-winning antique French painted bedroom collection. This Antique French French Dressing Table has an exquisite antique French finish, delicate wood carvings in Hand Carved Mahogany, and smooth curves so you can achieve that French boudoir look.